Whole Foods, High Street Kensington has unveiled a new window display this month showcasing Bai’s #RealFlavourNoRubbish. Located in the iconic Barkers building, the flagship store in Kensington is a three-storey haven for all food lovers. The popular store stocks four flavours of Bai, including the new and deliciously fruity, São Paulo Strawberry Lemon. 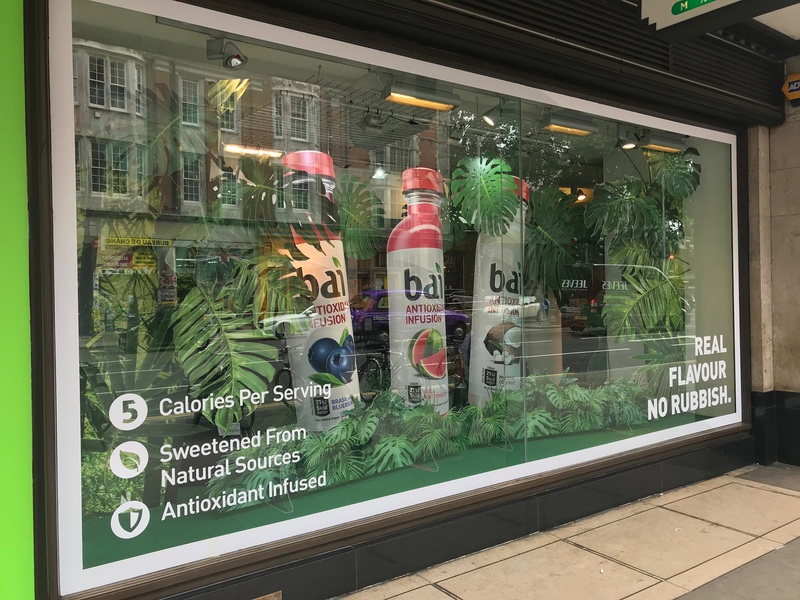 The eye-catching display inspired by rainforests was designed by retail window display specialist GraphicMill and captures the fun and tongue-in-cheek branding of Bai using supersized bottles and the tagline: ‘Real Flavour, No Rubbish’.